You can get excellent cheap meals for less than $5 — some for as little as $3.99! Here are the best ways to get cheap meals at popular restaurants. 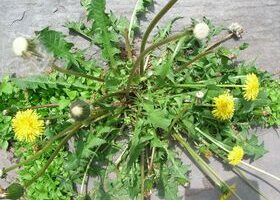 Edible Weeds – Don’t Kill The Weeds In Your Yard, Eat Them! Did you know that most weeds that grow in your yard are actually edible? Here are some of the foods that will grow themselves in your yard. A collection of the best ways to organize recipes, including recipes you’ve found online, in magazines, and on recipe cards. Lots of do-it-yourself ideas, plus links to the most popular recipe software programs. 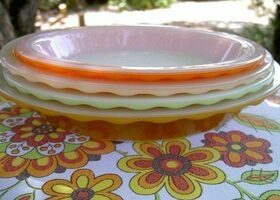 Being a simple girl, not to mention frugal, I like serving dishes that are simple in design and serve more than one function — like serving as food storage containers as well! Here are my favorites, including some unique options for lids. 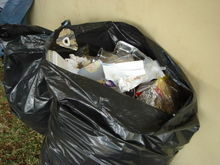 Regardless of the reason your food is left to thaw to room temperature, the following tips will help you decide what to keep, what to cook, and what to throw away. See how to stop wasting leftover food. In addition to all of these ways of saving money on your grocery bill, it is also wise to make the most of your leftovers — and to be more careful with meat and produce — in order to prevent waste. Have you started gardening for groceries yet? I have. I’m starting with tomatoes and strawberries planted in containers. It’s a form of urban gardening. Here’s what you need to know to start your own urban garden project, plus LOTS of tips to save you time and money! Shopping at ALDIs is an interesting experience. Here’s why I think it’s worth it to shop at ALDIs — despite the numerous inconveniences! Did you know that when you buy produce at the grocery store, in addition to the cost of the farmer growing and harvesting the produce, you are also paying the cost to ship the item as well? That makes produce from supermarkets more expensive than local produce from local farmers. 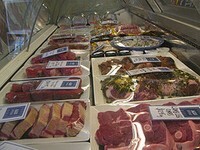 Great tips for saving money on food by using chest freezers. 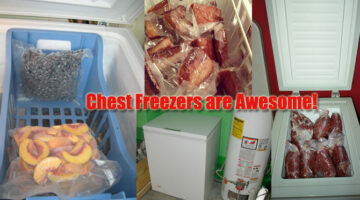 Great tips for using your chest freezer to the fullest.